Nature is good for our mental wellbeing, numerous scientific studies tell us. This flood of research begins in 1984 with EO Wilson’s biophilia hypothesis, in which he hypothesises a gene that necessities our love of life and life-like processes. However, a genetic basis for biophilia has not been identified, and the value of a genetic argument for our attraction to nature has been questioned. More recently, theorists have broadened the definition of biophilia to encompass the benefits of human-nature interaction. And it seems governments and industries are listening. Cities everywhere are embracing the change. I’ve spoken to numerous city dwellers over the years who tell me they find nature unsettling, if not terrifying. It’s mainly the isolation and silence they find overwhelming, particularly if they have spent their life in densely populated cities such as New York or Hong Kong. This sensation is captured by the term biophobia, a fear of nature. While biophilia theorists acknowledge biophobia, it is rare to find this reflected in the work of biophilic designers whose work risks downplaying the complex ways in which we experience nature. After all, the feel-good message of biophilia is an easy sell. But if we can both love and fear nature we should ask ourselves: what is the source of these powerful emotional responses? And is the introduction of biota and abiota the only way we can elicit such experiences? The philosopher Henri Lefebvre called the city a “second nature”. Given that every aspect of our cities, including ourselves, originated in what we refer to as nature, this makes perfect sense. More obscurely, Lefebvre writes that in the creation of second nature we should produce “urban space, both as a product and as a work, in the sense in which art created works”. To understand this we must consider the question: how does art make works? We might say that every artwork is unique in its making – no two artworks (assuming we don’t consider reproductions to be artworks) are the same. Similarly, nature’s creations are distinct: no two snowflakes are the same, every dawn is different etc. In the creation of a second nature, Lefebvre challenges us to produce cities just as art produces work, so that our built environment might be as diverse as nature. Therefore, the production of a second nature is as much the responsibility of art as it is of design and architecture. If we are to create urban spaces rich in creative expression, then we should embrace this insight as much as possible. A challenge to the creation of a second nature is to contend with the rules, regulations and controls of city bureaucracies that struggle to make room for creativity. Under these conditions, nature as introduced by biophilic designers is more likely to be applied as a functional agent, manicured and arranged, utilised for the production of more efficient workers and stress-free urban dwellers. But is it the purpose of nature to service such functional needs? Wildness – a derivative of wilderness – is a term familiar to biophilia theorists. For instance, Timothy Beatley talks about the wildness of nature bursting through the cracks of the urban. 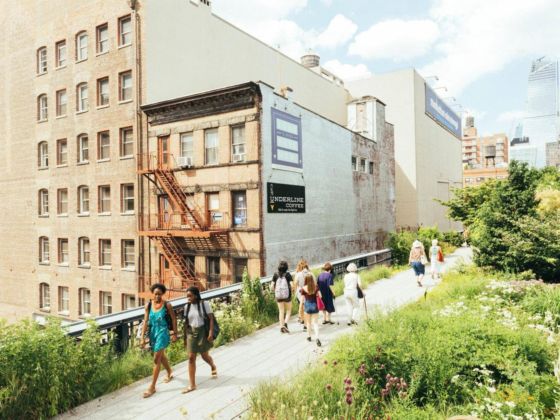 New York’s High Line self-seeded landscape is a rare celebration of such growth, usually considered unkempt areas of the urban. Even Wilson, an epitome of scientific reductionism and mechanistic thought, speaks of a “spirit” interwoven between nature and ourselves, which must be preserved. So, what is this spirit, this wildness we crave when we speak of nature? I would speculate that this wildness, or spirit, celebrated by biophilic theorists is the very same experience that sometimes terrifies our city dweller. It is the uncontrollable force of nature – always striving to exist, enabling it to appear everywhere and stirring our senses into states of wonder and awe. In the creation of second nature, we should acknowledge that art has an equally powerful role to play in producing wildness. For instance, well-executed public art can be a source of wonder, imagination, contemplation and transformation. These are all experiences valued by biophilic practitioners. We should encourage the growth of biophilic design in our cities. But if the nature we desire is, in fact, its expression as untamed wildness, then we should turn to art as much as we do to the elements of the natural world when designing and building our cities. Emerging infrastructure projects should consider the role of artists in directing human experience towards an urban wildness, which celebrates the creativity of nature.